The Department of Biochemistry is a part of the University of Washington School of Medicine, located in beautiful Seattle, Washington. Home of companies like Starbucks, Microsoft and Amazon, Seattle is a modern, high-tech city and the largest city in the Pacific Northwest. It's known for its coffee, cuisine, culture, eclectic neighborhoods, and its stunning natural beauty. Nestled between the Puget Sound and the Cascade Mountain Range, Seattle is a close drive to some of the best hiking, mountain biking, skiing, kayaking, mountain climbing, and outdoor adventures in the country. In fact, Seattle is a couple hours’ drive from three National Parks: Mt. Rainier National Park, North Cascades National Park, and Olympic National Park, as well as innumerable state, county, and city parks. 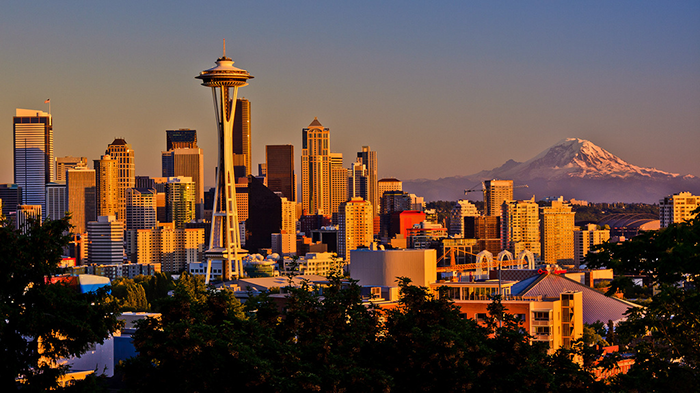 Whether you hunger for sushi or adventure, Seattle is a city you will fall in love with.